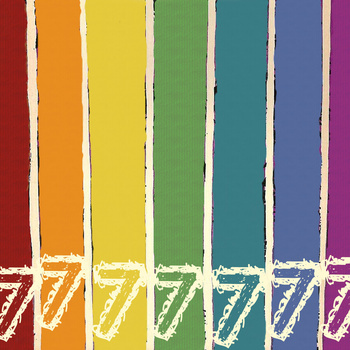 The wiaiwya 7777777 series (in short:7 7 inch singles, by 7 bands all released on the 7th of a month and each coming in one of the 7 colours of the rainbow) has so far singles from The Wave Pictures and The Werewandas. 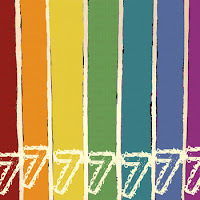 Over the next few months they'll be joined by pop luminaries including Shrag and Allo Darlin', but what's most exciting right now is that 7” #4 has been confirmed to feature three new tracks from Standard Fare. The first of these to be unveiled is 'Girlfriend', and the quality for a band that's only just released a cracking album is surprisingly high. Not that you'd expect Standard Fare to come out with anything shoddy, but where you might expect something of b-side standard, this is arguably one of the best things they've recorded. Emma kicks it off with an ace bass riff before the boys come in to back her up, it's a gentle start that paves way for their meatiest chorus yet. With the bass leading it's almost an indiepop 'Song 2', Emma's vocals staying clear over the top and the effective quiet/loud dynamics constantly refreshing the song. Already the lyric “not everyone has encyclopedic knowledge of music” is being cemented as Standard Fare's more memorable and for this song alone the single is going to be one of 2012's most essential.